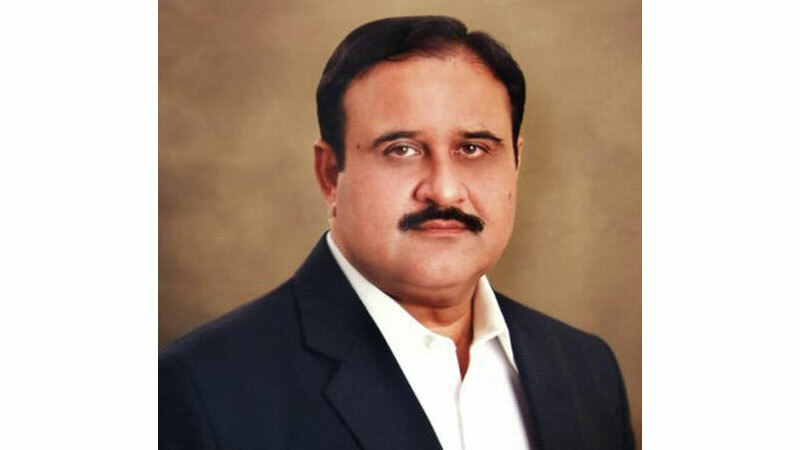 Punjab Chief Minister, Sardar Usman Buzdar, on Monday, visited the head office of Punjab Food Authority (PFA) and presided over a departmental meeting. PFA DG Cap (R) Muhammad Usman briefed him about the performance of the authority. He was also briefed about the milk pasteurising program. The chief minister directed for an effective crackdown against the adulteration mafia in the province. The PFA should initiate an indiscriminate action against the elements involved in it, he added. The CM claimed that elements engaged in the adulteration of food do not deserve any leniency and the government would go to any extent to provide pure food items to the people. With the holy month of Ramadan starting soon, the PFA should effectively curb the adulteration mafia along with the launch of a vigorous awareness campaign, he maintained. He appreciated the performance of PFA. Later, CM Buzdar inaugurated the maiden PFA nutrition clinic at Garden Town. He also talked to nutritionists and visiting women; distributing gifts among the kids during his visit to the day-care. Provincial ministers Sami Ullah Chaudhary, Nauman Langhrial and Food Secretary were also present on the occasion. While talking to the media, the chief minister noted that though the PFA is already active against food adulteration, implementation of PFA laws would be ensured during Ramadan-ul-Mubarak. “I have also inaugurated the first nutrition clinic and such clinics will also be established in every district of the province,” he added. To a question about the transfer of civil servants, the chief minister called it an administrative matter. The government may change any officer at will and recent transfers are made on administrative grounds, he added. When asked about the change of ministers, he responded that ministers’ performance was being monitored regularly and a suitable decision would be made at an appropriate time. The minister would definitely discuss with him if he had any issue with the secretary. The officers have worked with those who have ruled Punjab for 30 years, but the bureaucracy should be loyal to the state than to any party, he added. CM Buzdar believed those who perform would stay on their posts, and those who would not deliver will not be part of my team. The political leadership makes decisions and implementation is the responsibility of the bureaucracy, he remarked. Punjab a big province of 12 crore people, he pointed to scarce resources and a large number of problems. Still, we are working day and night to overcome the problems while remaining within our resources, he said. To a question about the selection of Punjab Bank President, CM Buzdar said that this is not a matter of mine nor do I work like this. He also refuted any rumours of discord between Pakistan Tehreek-e-Insaf (PTI) and Pakistan Muslim League-Q (PML-Q) in the province. The CM also announced that the draft of the new local body system had been prepared and devolution of powers at the grassroots. More than 22 thousand village councils were talked about as a part of the new system. Local bodies’ representatives will be truly empowered, he added, while the funds would be distributed at the grassroots for the first time through public representatives. Replying to a question about Fayaz ul Hassan Chohan, the CM called him his brother and said the media would be informed whenever he is inducted. When asked about the Lahore Press Club grant, Buzdar said that the issue would be solved soon in a meeting held in this regard. Uniform policy is being formulated with regard to the distribution of advertisements and the issue of payment of advertisements will also be solved, he maintained. To another question, the chief minister called action against those responsible for artificial price-hike during Ramadan-ul-Mubarak. Punjab government was also said to evolve the Ramazan Package for public relief wherein the quality of different items would be ensured. The powers of the Chief Minister are not curtailed due to the issuance of any notification because a Chief Minister continues being the Chief Minister, he affirmed. In the end, he called it his prerogative to conduct inspections of the institutions personally or deputes a minister or the bureaucracy, the Chief Minister concluded.